One of the leading online fresh food meat brand is looking to hire Retail Partnership and Growth Manager for their Gurgaon location. Ideal candidate would be someone with good retail and channel development experience. - Keep track of sales, revenue, invoices etc. 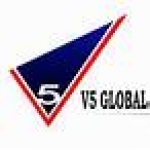 Assistant Manager - Talent Acquisition at V5 Global Services Pvt. Ltd.